I’m a Colorado-based professional specializing in web design and online marketing. Have a look at my portfolio and see what services I offer! get the finished product, you get the keys so you can drive it yourself. Check out my step-by-step guide on getting started! SEO friendly, mobile friendly and fully editable! 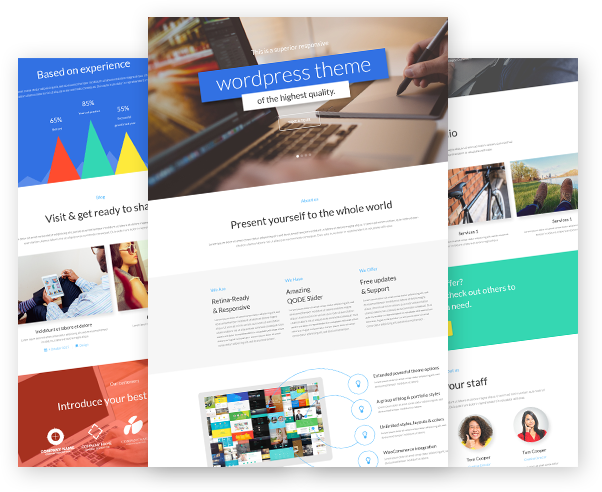 I build sites with WordPress so you can manage your own content on your site. Because it’s not enough to have an awesome website. I help bring you business and customers by driving targeted traffic using Google Adwords, and Social Media Marketing Ads. Make your business stand out with custom images, headers, layouts, and logos. Boost your Fans and Likes and create an engaging online presence that your customers will want to interact with. Sierra is fun and engaging to work with; she is a ball of energy waiting to help you with your social marketing needs. She has created several websites for me, all to my specifications which were quite complex and advanced. She came to the rescue when one of my sites got hacked; and thankfully, she was able to implement some new security measures to prevent it from happening in the future. In regards to social marketing, Sierra designed and implemented several social marketing campaigns for some of my products, all with favorable results. I have also noticed that she is very honest about what she can and cannot do which is nice in this often deceitful world. I will be using her services for my next product launch. I would recommend her website building and social marketing services to anyone that needs such services.